Exit polls predicted a close race between the BJP and the Congress. Counting of votes for the 230 seats in the Madhya Pradesh assembly began at 8 am on Tuesday. As many as 2,907 candidates were in fray for the November 28 assembly polls as Chief Minister Shivraj Singh Chouhan of the Bharatiya Janata Party is attempting a fourth term in office, while the opposition party, Congress, expects to return to power after a gap of 15 years. Exit polls predicted a close race between the BJP and the Congress, though leaders from both parties have routinely claimed their respective victories. While Mr Chouhan has called himself the "biggest surveyor" in claiming a win for the BJP, senior Congress leader Kamal Nath said his party would get at least 140 seats to oust the ruling party and form a majority government. Of the 5.04 crore registered voters, 3.78 crore exercised their franchise, translating to a voter turnout of 75.05 per cent. 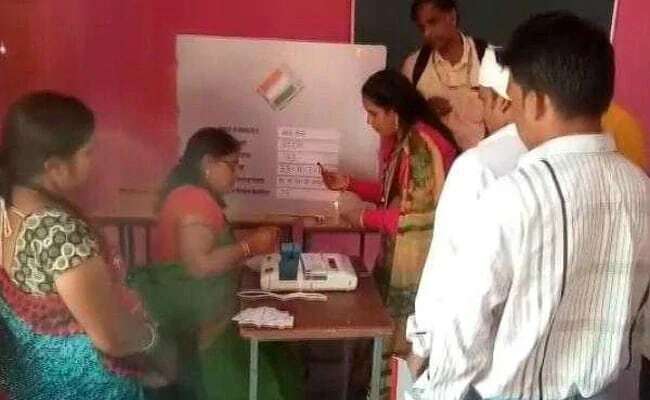 Madhya Pradesh Chief Electoral Officer VL Kantha Rao told reporters that counting began with the postal ballots at 51 centres across the state. "EVMs (electronic voting machines) would be taken up for counting at 8:30 am. Counting of postal ballots would continue simultaneously," he said. Mr Rao said 15,000 employees have been drafted for the counting process, which will be monitored through 1,200 CCTV cameras installed at 51 centres across the state. He said the maximum rounds of counting -- 32 in total -- would take place in the Indore-5 assembly segment due to the highest number of booths there. The lowest number of counting rounds (15) would be held in Kotma in the Anuppur district, he added. The Indore-5 seat is currently held by the BJP, while the Congress represents the Kotma constituency. Mr Rao said the results of every round would be declared separately before the start of subsequent rounds. Though all exit polls predicted a slide in the BJP's fortunes, some of them have gone to the extent of giving a clear majority to the Congress. In 2013 elections, the BJP had won 165 of total 230 seats, followed by the Congress (58), BSP (4) and the independents (3). The campaign for the polls was a high-decibel one with star campaigners like Prime Minister Narendra Modi and Congress chief Rahul Gandhi mounting vitriolic attacks in their respective speeches. The prime minister had addressed ten public meetings across all regions of the state while BJP President Amit Shah held 26 public meetings and three road shows, said state BJP spokesman Rajnish Agrawal. Rahul Gandhi addressed 22 public rallies and took part in about a dozen road shows. The chief minister, in office since 2005, is seeking re-election from Budhni in the Sehore district. He is pitted against Congress candidate Arun Yadav, a former minister. The BJP fielded candidates for all 230 seats while the Congress fielded 229 nominees and left one seat (Jatara in the Tikamgarh district) for its ally Loktantrik Janata Dal (LJD) of Sharad Yadav. The Bahujan Samaj Party (BSP) fielded 227 candidates, while the Samajwadi Party (SP) contested 51 seats. The Aam Aadmi Party (AAP) also fielded 208 candidates in its maiden elections in Madhya Pradesh, while 1,094 candidates contested as independents.